This turned out even longer than I had planned, so I’ve broken it into three parts, this being the first one. Please check back and read the subsequent parts. God has laid this on my heart for a while now and it’s kind of taken on a life of its own. But anyway, this is my story. When I was 3 weeks old, my mom took me to my well-baby check-up and was sitting in the waiting room. A student doctor walked by and saw my mom holding me and asked my mom why she was there. She just smiled and said it was for a check-up. She was a new mom with her first baby, ready to show her off at a moment’s notice. The student doctor said, we need to get your baby into the emergency room right now. My mom was stunned, and asked why. It had happened so gradually over the weeks since I had been born that not even the pediatrician had noticed. 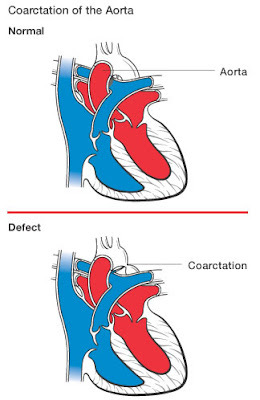 After the examinations they discovered that I had been born with a coarctation of the Aorta. Essentially, blood wasn’t flowing like it was supposed to, and my body was losing circulation. Hence, the blue. I immediately had emergency open heart surgery. From this surgery I have a scar on my back, about the length of my hand, across my left shoulder blade. People with an unrepaired Coarc usually have a life expectancy of 40-50 years, according to my cardiologist. Then I was 6 months old and still had a heart murmur. 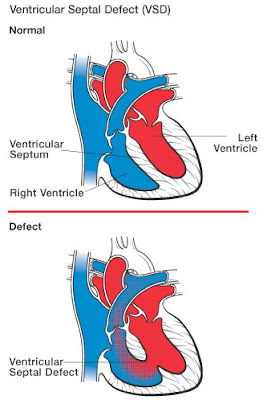 I had a Ventricular Septal Defect, or VSD. People with an unrepaired VSD have a life expectancy of about 30-40 years, according to my cardiologist. People with an unrepaired PDAs have a life expectancy of about 20 years, according to my cardiologist. Another open heart surgery. Another scar, this one on the front, running almost the full length of my torso in the shape of an exclamation mark. A couple of these conditions are not rare or unusual. In fact, in the case of the VSD, many children are born with them so slight that they grow shut and fix themselves before the child can walk. Mine were more severe than that and required surgery. This was, obviously, a major moment in my parents’ lives. And of course, whenever we face difficulty, we always have to ask, as they did, Why does God let this happen? Why did God decide I would have holes on my heart? Either God designed this and knew it was going to happen, or He was just as taken by surprise as my parents were. The latter is absurd. So it must be the former. Which brings us back to the question: why? I tried to leave you a comment yesterday...but something wouldn't let me...so here I am! I came over feom Casey's and wanted to tell you that I loved your story...and thanks for sharing it. You and your scars are beautiful. I have large scars on my shoulder form numerous surgeries and have to get over that to wear a strapless dress to the prom. I was on military blogs sharing with people a pro-American band called Madison Rising and then your blog caught my attention because of all the quotes and disney and oklahoma thing. So I started reading stories and read the story about scars... crazyness. Just wanted to say keep writing because you are very good at sharing stories.